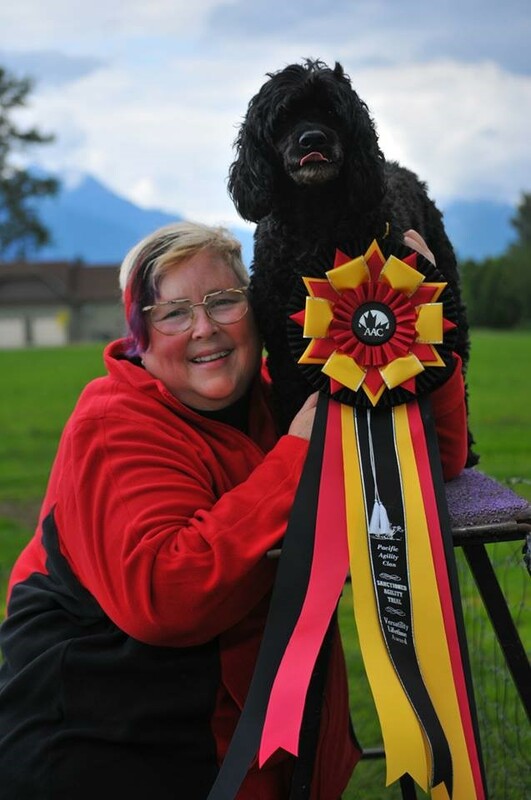 Joanie-Leigh Elliot – The hardest working Agility Nut in BC! 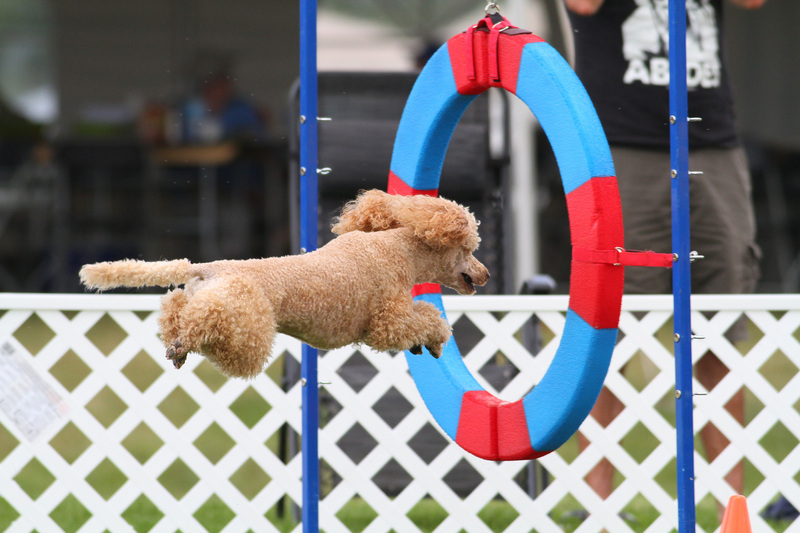 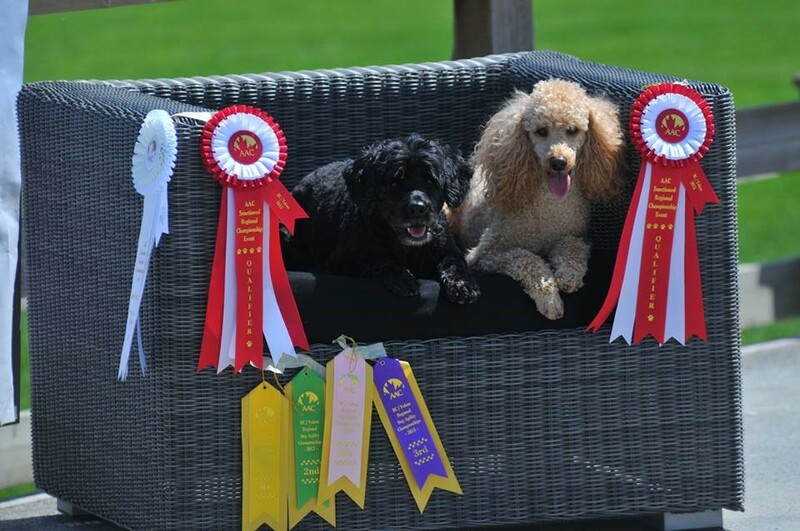 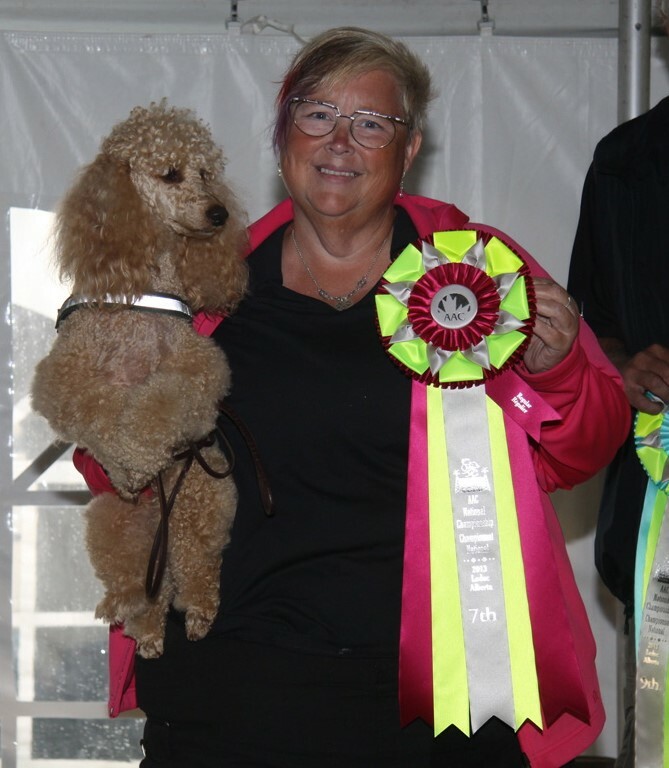 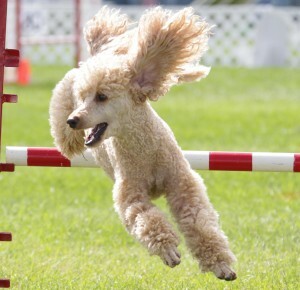 Remi is an Apricot Kleinpudel, which is German for a fourth size of poodle (between 14”-18” at the withers) not recognized as a breed standard in Canada. 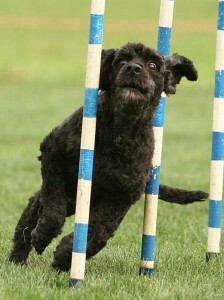 Remi also follows European tradition – his tail thankfully remains undocked – very useful for a dog active in agility. 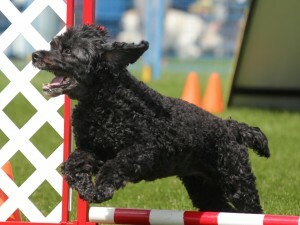 Remi is a wonderful dog to train, quick and eager to learn new things. 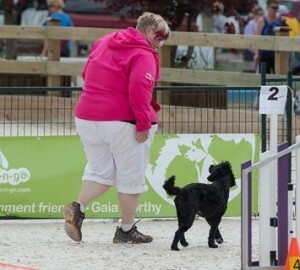 Grace is Joanie-Leigh’s second agility dog, a cocker/poodle cross, who loves to bark her way around everything in life. 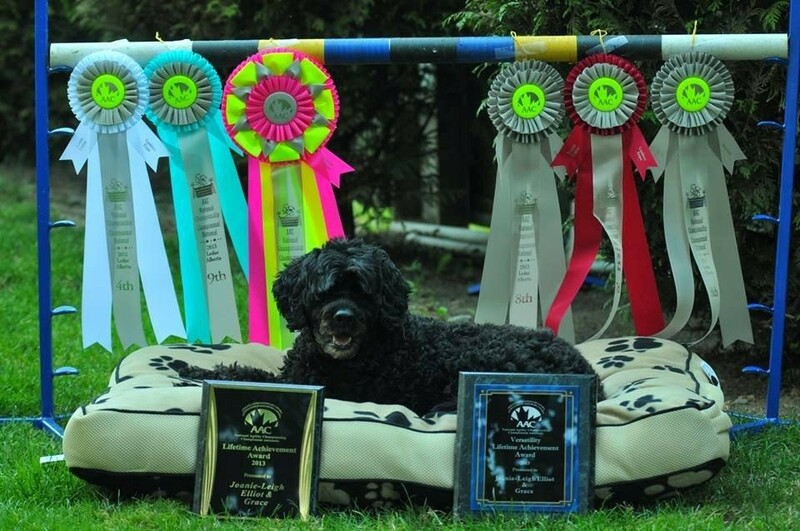 2013 was the best agility year Grace has had to date, earning her Lifetime Achievement Award and Versatility Lifetime Award of Merit (only 17 dogs in Canada have earned that title), and placing 4th at the 2013 BC Yukon Regional Championships and going on to place 6th at the 2013 AAC National Championships. 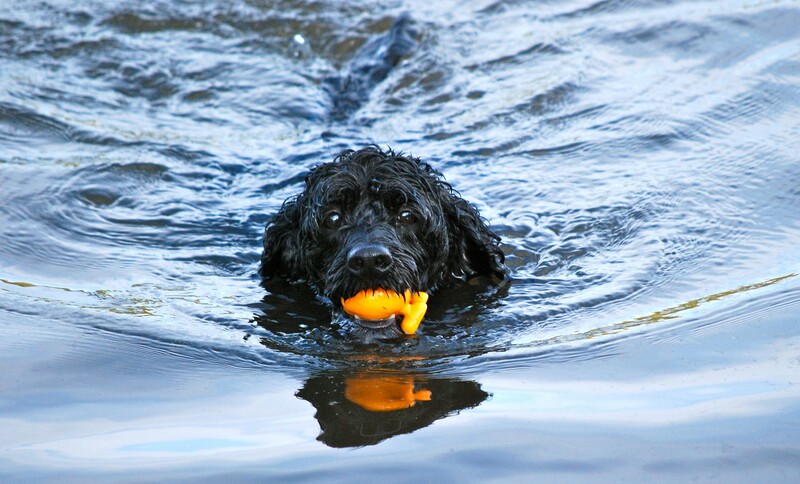 Grace turned 11 years of age in August and is contemplating agility semi-retirement having achieved some pretty impressive titles – she is hoping this means more BALL and SWIMMING! Please. 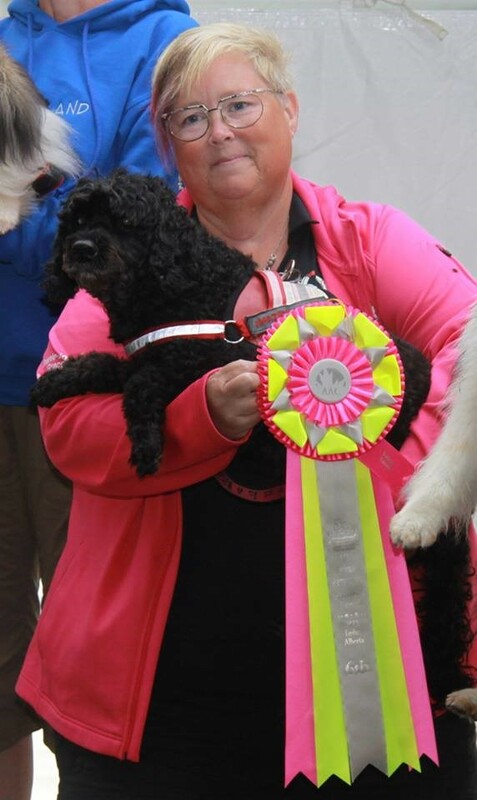 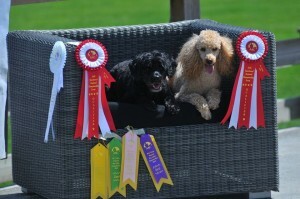 Teddy is Joanie-Leigh’s first agility dog and they began training in the sport of agility in April of 1997. 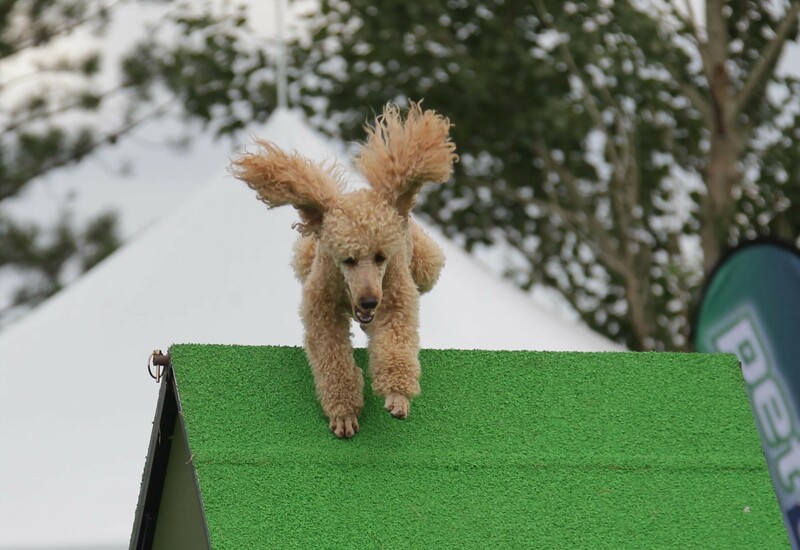 Teddy was nicknamed the “stuffie who could” as he often looked like a stuffed teddy bear tossed over a jump, depending on how long his hair was at the time. 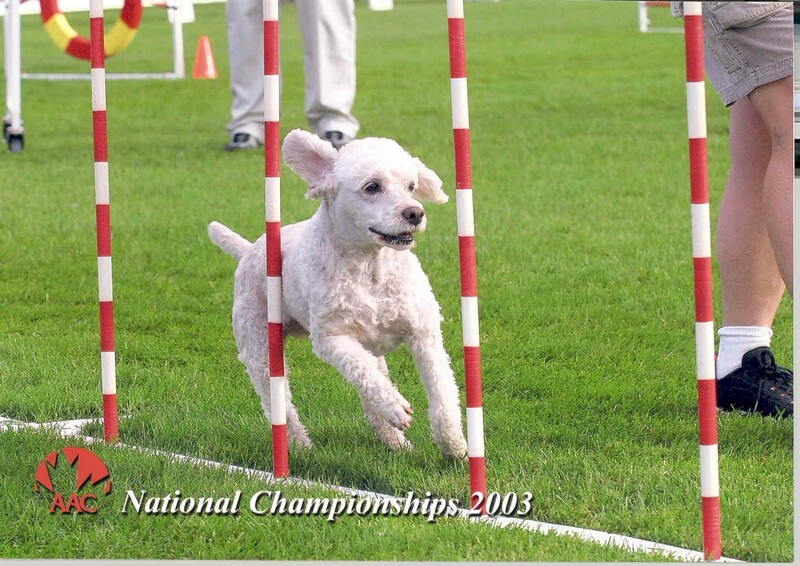 Teddy competed at the first ever BC Yukon Regionals in 2001, placing 2nd, and went to the first AAC Nationals in Calgary, placing 5th. 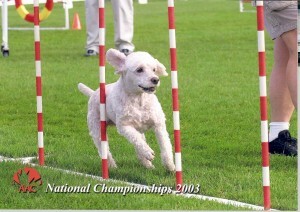 In 2003 he was the Top Veteran agility dog for BC and 3rd overall in Canada. 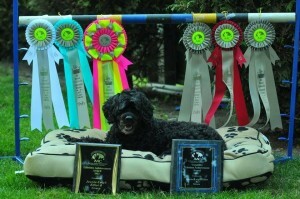 He is still with us, enjoying life, having past his 17th birthday January 2013. 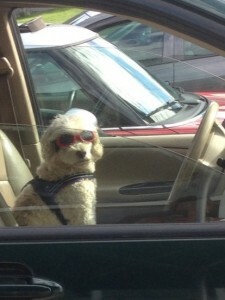 And is old enough to drive the car.